Our website (trackingshipment.net) is not affiliated with PTT. Please be advised that PTT - tracking service has just been added to our service, and we haven't enough time to collect a lot of information about popular questions. At the moment all results are being represented without our correction. You can ask any question about it; we will find an answer to it. We will make a FAQ in the short time. USPS track number is not suitable for this carrier. 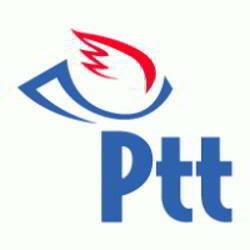 PTT post is one of the Turkish delivery service providers, which handles both domestic and international sendings of mails, express mails and packages. The company delivers orders via its national transportation network, which consists of several sortation hubs and a great number of service centers of various types. For the convenience of clients, the company implemented a unique PTT track system. The PTT carrier tracking system is a fast and easy way of checking information about the order. The company carefully selects its employees and all of them undergo special training. The staff shares global ideas and vision of the transportation company. Each employee is devoted to the client-orientation strategy of the PTT. The PTT tracking service is a special system, which helps clients obtain the detailed information about their orders. The PTT post tracking can provide information about all types of postal items, including mails, express mails and parcels both domestic and international. The PTT tracking service is available on the official website of the company 7 days per week. In order to get necessary data about the order, the only thing that a client needs is to open the system and type a tracking number in a special field. The client is provided with the tracking number during the registration of the order in the company’s service center. When a client makes a request, they obtain the detailed information about the sending. The request result contains data about delivery cost, weight, ETA and current location of the order. All received information can be fully trusted as far as the system is updated every 5 minutes. A special group of engineers, who fix any technical issues in a moment, maintains the stability of the service. The set of company’s services is rather big. All of them are called to make life of clients easier. In case a client needs to transport any non-standard size postal item, the employees are always ready to find a unique logistical decision. · International delivery of various types of sendings. When clients pass postal items to the representative of the company, they can be sure that their goods will be delivered on time and damage free. The company has a very low percentage of damaged orders. In case of any issues with orders, the company guarantees complete compensation of the order’s cost. The main difference between native tracking systems and K2track service is an opportunity to check detailed information about different delivery companies with the help of K2track. The system contains data about a great number of international transportation companies and allows tracking several orders by one information request. Native system allows checking the data of only one company. The universal system contains almost the same data as the native tracking services have, but their databases are more extensive.